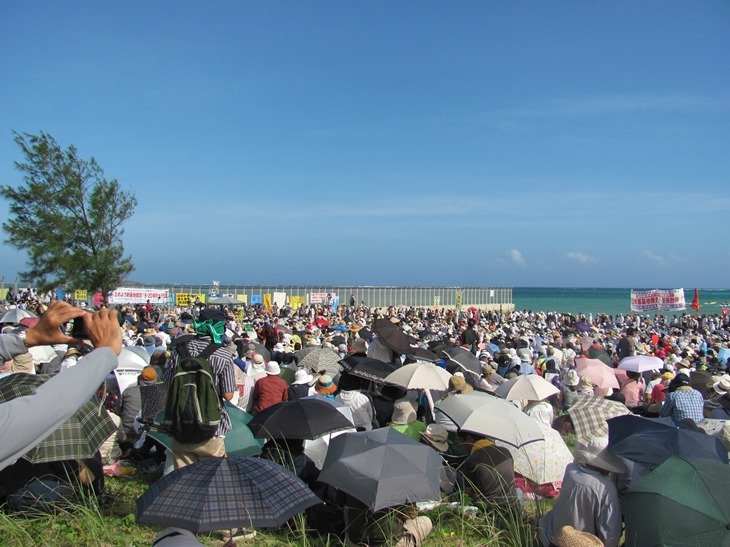 On Sep 20th, there’s a mass gathering in Henoko, Okinawa to protest against the military base construction and the violence conducted by the coast guard in order to enforce the military base construction. 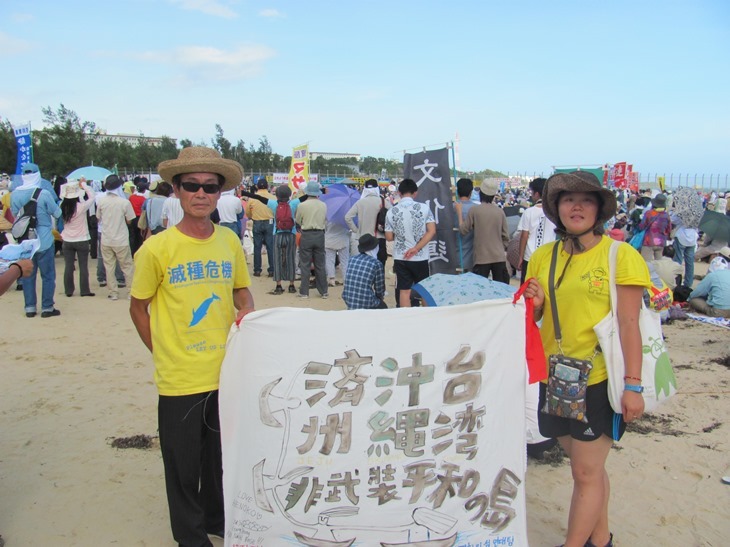 Gangjeong villagers and activists also participated directly in the gathering in Henoko to show our friendship and support to the Okinawa struggle for peace. 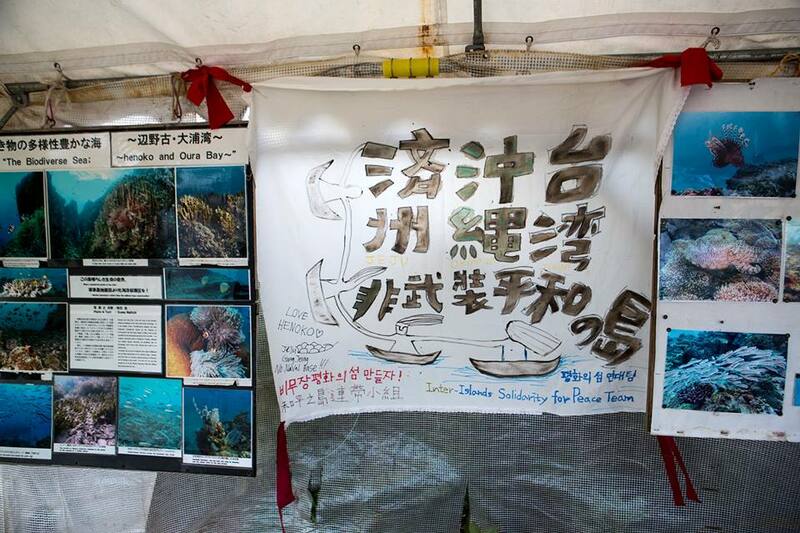 We people in Gangjeong are eager to express our outrageous anger to what’s going on in Henoko, Okinawa. We have watched many of photos and videos of the violent action conducted by the coast guard of Okinawa against the innocent peace activists. It’s not a crime to defend the nature, peace, and be-loved hometown but it’s doubtlessly a crime to defend the base construction plan no matter how it is legal or illegal in the law system under a state. 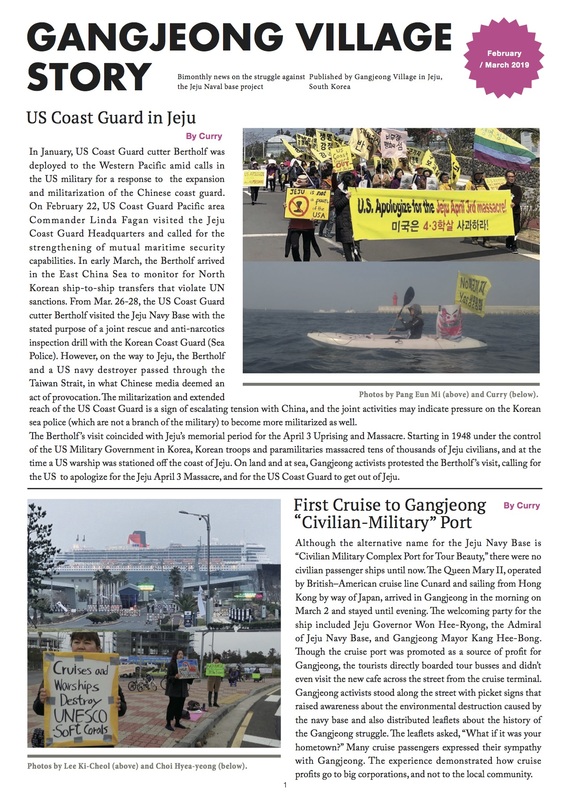 The action of the coast guards in Henoko seem to us the military itself but the enemy target is the peace-loving civilians who they declared to protect for. It’s a lie that the military and military base protect people. 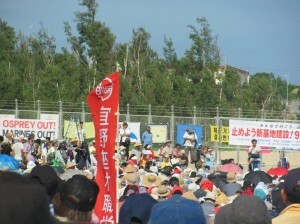 It must be a real ironic lie for Okinawan who have learned the painful lesson to be a base islands under the war. 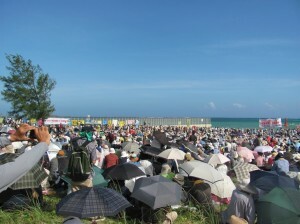 We have learned from our Okinawa friends that the nightmare of war experiences and state violence in Okinawa has been extended through the long-lasting existence of military bases, just like the enforcement of the naval base here has reminded many the nightmare of 43 and the history of forced militarization of Jeju by the Imperial Japan government. We are both together standing on the top of the uneven historical trauma and probably again the crossroad of the war. 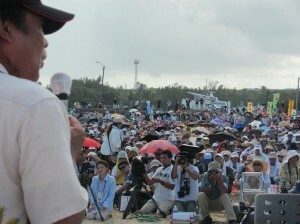 We people in Gangjeong want to make a possible new way together with you. Just like the thing we pray every day in Gangjeong during our struggling that the world peace will begin from our small village, so does Henoko. 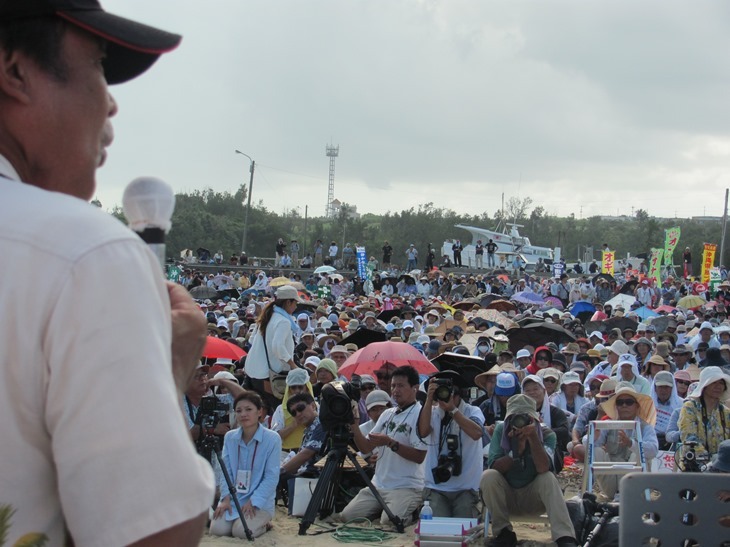 We people in Gangjeong request the cancelation of Henoko Bases, not only in Henoko, but all the military facilities in Okinawa islands while we are also struggling here to make Jeju a real DMZ peace island. 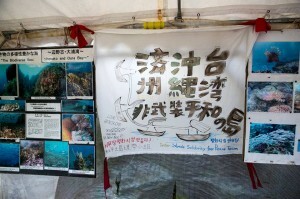 Henoko friends, you are in our heart in our daily struggle. 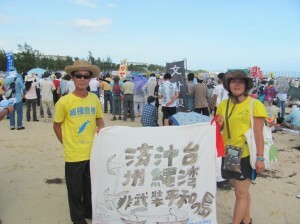 Our solidarity for you is really from many Okinawa friends’ inspiring friendship for us. Peace is our way.